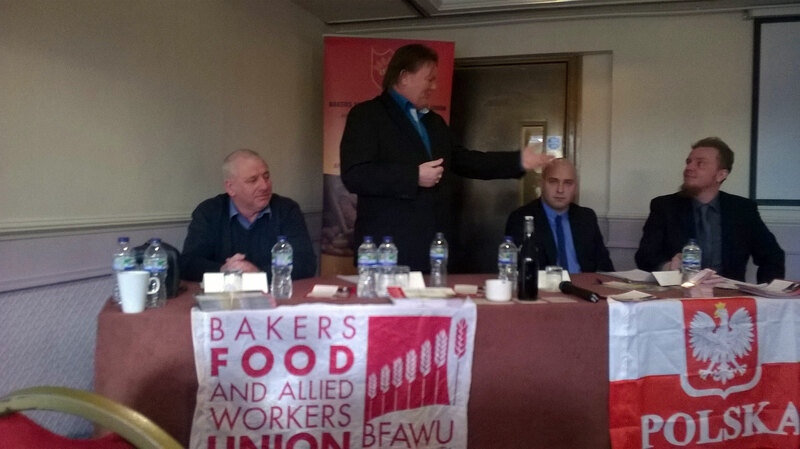 Over 20 people attended a meeting of the Bakers Food and Allied Workers Union was held on Sunday in Leicester. The meeting was part of a recruitment drive of migrant workers who largely work in the food industry. 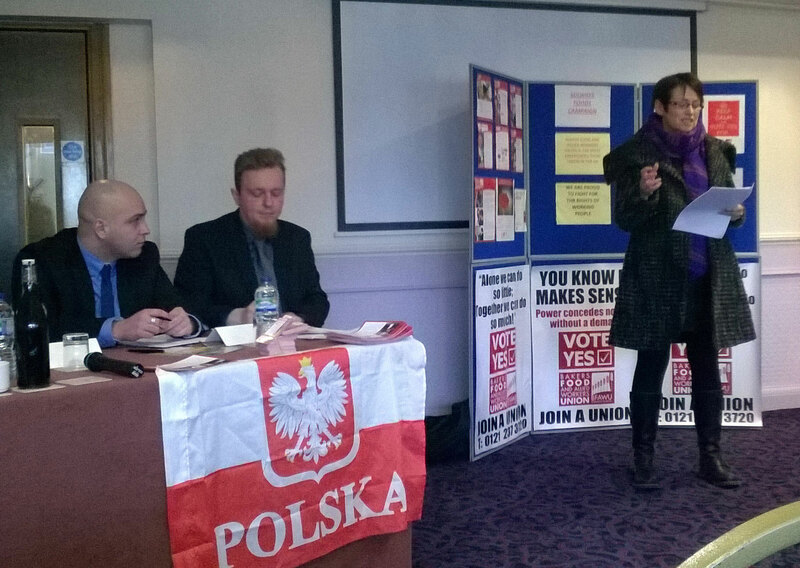 The BFAWU are actively recruiting eastern European workers offering them Polish, Lithuanian, Russian and Latvian representatives. This meeting was aimed at Polish workers in non-unionised work places. Workers attended from the Tulip factory in Coalville. Speaking was Ian Hodson (National President) , George Atwall (Regional Organiser) and Lukasz Bemka (Region 3 Polish representative). George Atwall informed the audience that sister factories to the one in Coalville that were unionised were being paid more for the same work than the non-unionised Coalville site. He urged people not to be afraid of joining the union as unity is strength. Cath Lewis from Stand Up to Ukip addressed the meeting explaining UKIPs anti-immigration policies and how this was being used as a divide and rule tactic by the rich. Cath also invited the audience to the Leicester Stand Up to UKIP Public meeting on 4 March at the Highfields Centre on Melbourne Road, Leicester, and the National Stand Up To Racism Demonstration in London on March 21st. This entry was posted on Feb 1, 2015 by leicestersocialistworkersparty in BFAWU, Fast Food Rights, Socialism, UKIP, Unions.